From the bottle to your stove, wine makes life so deliciously worth living, and we're opening up all the possibilities with these recipes. Red or white? 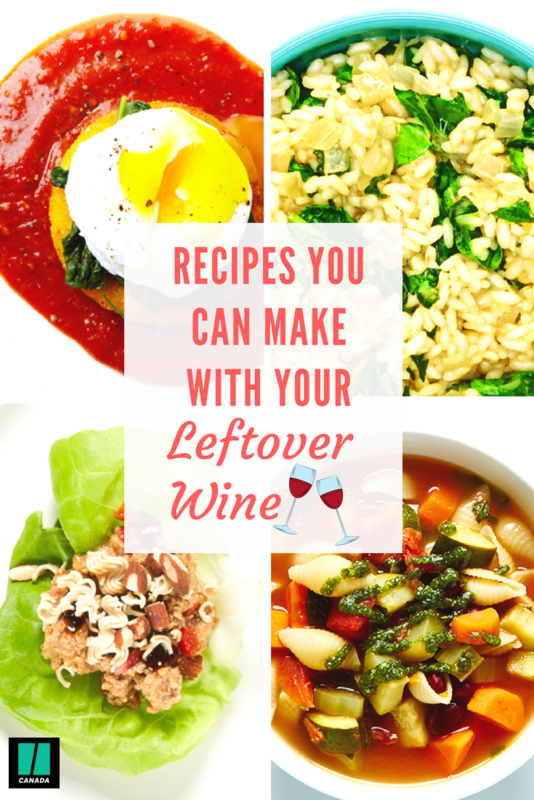 Ever wonder what you can do with your leftover wine (on the rare chance that you have any)? You should never let good wine go to waste! First thing's first, let us answer a question most would ask: can the kids enjoy these delicious recipes too? Put those from-the-box chicken fingers away because your kids are in for a treat. Did you know that you can never be too young to enjoy food cooked with wine? When you cook an alcoholic beverage at a high temperature for long enough, the alcohol evaporates, but the flavour doesn't! From the bottle to your stove, wine makes life so deliciously worth living. We're opening up all the possibilities with these recipes. From the ultimate Garlic Toast Meatball Patty Melt that would make your nonna so proud, to the unbelievably easy-to-make Asian Chicken Lettuce Wraps. Suddenly, you'll find yourself saving wine; no complaints here! This classic Irish Beef Stew recipe is jam-packed with tender chunks of beef, carrot, turnip, potato and parsnip. This amazing egg recipe has it all: a base layer of delicious homemade oven-roasted tomato sauce followed by a toasted polenta square, sautéed arugula and crowned with a perfectly poached egg. Chicken marinated in white wine and lemon juice, topped with a sprinkle of brown sugar, and baked in a citrus broth mixture to juicy perfection. These moo-shu-like lettuce wraps are another great excuse to hold dinner in the palm of my hand. Start with the flavourful turkey bolognese (complete with tomatoes, herbs and white wine) sauce, spoon on the creamy Béchamel and pile up the chopped spinach and you've got one luscious lasagna. Creamy (yet creamless) and utterly satisfying, you can't go wrong with making this Italian delight; all you have to do is stir. This Walnut-Crusted Halibut does all the work for you, with the fish transformed, topped with a zesty parmesan and walnut crust and served with a lemon, shallot and white wine sauce.